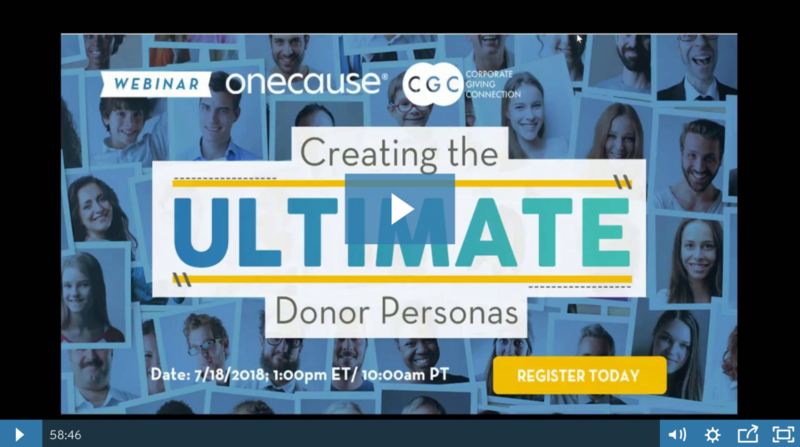 On July 18, CGC teamed up with OneCause (formerly BidPal) for a webinar called “Creating the Ultimate Donor Persona ” hosted by OneCause’s Kelly Velasquez-Hague. Great nonprofit marketing relies on a comprehensive strategy and solid game plan. Donor personas are key tools but often underutilized in today’s fundraising. Nonprofits can use donor personas to target marketing efforts and maximize engagement. In this webinar, we discuss the key elements of a donor persona, where to get the information, and how to use it when you’re finished. Don’t want to watch the webinar? The presentation is available for download here. Interested in CGC’s Fundraising Services? CONTACT US now.